For those trained in the art of noticing the gray man, demeanor is usually the key to seeing the unseen. It’s not too difficult to take some time and plan what you’re going to wear for the day, where you’re going to go, where you’re going to stand, what you’re going to buy and what you’re going to carry with you. What you can’t plan on is how you’re going to act. A gray man’s demeanor is one that goes with the flow, never suspicious and always appropriate for the moment. OPSEC isn’t just about what you say or do, it’s also about how you do it. People are sometimes trained not to make eye contact because people notice others when they do. However, in some situations, eye contact is expected so if you don’t make it, you’ll definitely not only be noticed, you’ll be remembered. In a SHTF or urban survival situation, it could cost you your life. For example, a person who’s following you may avoid eye contact because they’ve been taught that eye contact is one way you’ll be noticed. Now walk up to that person as they’re nonchalantly noticing the paint job of a nice car and see what they do. A normal person will look up and wonder what you want. A person who’s tried to meticulously plan what they’re going to do to not be noticed but isn’t experienced in doing this will continue looking at the car so they don’t make eye contact. Wrong! Demeanor is one of those things you have to first learn, then observe, then practice. Sit for a while at a coffee shop and notice all the interactions that people make. Notice how long each person makes eye contact with each different interaction. Notice when a person is attracted to another how they look a little longer. Notice how creepy a guy looks if they look any longer than that. There are are thousands of interactions that you see every day but you most likely never noticed them. Your subconscious, however, always takes notice, and so will others. Learn the art of body language and social cues and practice being able to think one thing and do another. The Gray Man does things in a way that doesn’t bring attention to himself. When a person wants to protect something, they hide it. This is a natural response. Go to a bar sometime and watch all the guys. 99% of them will be standing there with their beer in front of them as if it will protect them. The other 1% are too busy talking to the girls that are attracted to them for some reason. Watch when two people are talking to each other. You can tell right away if the girl is interested by how she stands, where she points her feet, where she looks, how often she looks into his eys, how often she laughs, and a lot more. The problem is, the guy usually can’t because he isn’t focused on that stuff, and even more damaging: he’s not focused on the mistakes in his body language that are a big key to why he keeps getting shot down. What does all this have to do with SHTF OPSEC? It all comes down to basics. Your ancestors communicated for millions of years through body language. It’s hard-coded into our system. Demeanor is basically your body language giving away your intentions. If you don’t understand body language, you won’t understand SHTF OPSEC. When you hide the spare key to your house, most people would never notice. If you look around to see if anyone’s watching and then slyly drop it at your feet while you look up at they sky like you’re not doing anything as you kick the rock over it to hide it, your demeanor is going to give you away. The neighbor or passing traveler who sees you probably wouldn’t have noticed. How could you have done this better? How about dropping to tie your shoe and then while you’re down there with your body covering up your actions, slide the key under the rock. This is a simple example, but it should suffice. It’s not all about hiding keys and tying your shoes though. What happens if you’re out gathering supplies after the area’s been ripped up by a tornado or hurricaine and you notice someone following you? In the first place, good job for noticing you’re being followed. You probably noticed because of their demeanor more than anything else. Unless you have several people at home ready to jump out and protect you, a smart thing to do would be to walk on by where you live and keep going, drawing them away while you find a place to either escape or fight. What do you think will happen if you nervously glance up into the window of your house as you walk by to see if your daughter is looking out? Your demeanor and lack of OPSEC just gave away your location. As we just saw in the example above, watching other people’s body language is important to see their intentions or what they’re trying to hide. Learn the clues to body language and it’ll be like they’re drunk and just telling you things. You’ll know when someone is pretending to ask for directions while they’re actually distracting you as their friends set up an ambush. You’ll hear them telling you what they’re planning to do. Body language is immensely important in building relationships and negotiating too. The next time you’re buying a car from someone or at a garage sale, watch how the other person shifts their body, tone of voice or their eyes as you speak with someone you’re trying to negotiate a price next time. If you know what to look for, you’ll see what topics are important to them about what you’re selling or buying and what they don’t care that much about. Then you’ll know their hot buttons. With that silver bullet, you can use their body language against them and get a much better price. Propper OPSEC during a SHTF scenario can save your life. Knowing when others are not utilizing proper OPSEC is just as important. If you learn the art of body language, you’ll have a huge advantage in a disaster situation and in everyday life as you prepare. 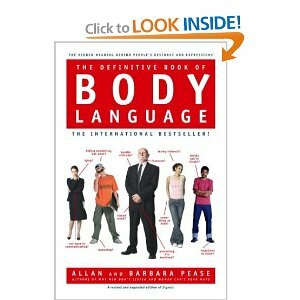 Body language is 55% of the messages we send. We can say a lot without uttering a word!